The Thirteen Treasures have become the Thirteen Curses. When fairies stole her brother, Red vowed to get him back. Now trapped in the fairy realm, she begs an audience with the fairy court where she strikes a bargain. Her brother will be returned - but only if she can find the thirteen charms of Tanya's bracelet that have been scattered in the human world. Returning to Elvesden Manor, Red is assisted by Tanya and Fabian and a desperate hunt begins. Soon they make a shocking discovery. The charms now have twisted qualities of the thirteen treasures they represent... and the longer they are missing the worse the consequences will be. Can Red, Tanya and Fabian find all the charms? And even if they do, will the fairies keep their promise? GREAT book! I love the adventure these kids get into. Red is my favorite character in the series and I was so excited to find The 13 Curses is through her eyes. She is such a courageous, and inventive girl. 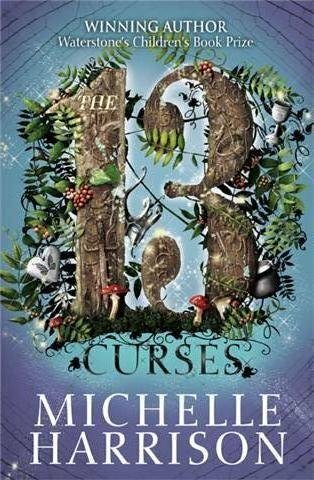 I'm a huge fan of all things fey and this series has an interesting twist on fairies. 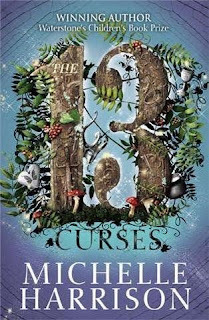 Author Michelle Harrison incorporated a lot of faerie lore into these stories. It is VERY cool! I can't wait until the 3rd book!! OOOO I need to read these. This series sounds great! Who doesn't love adventure? Cute update! It does fit your personality! This does sound cute! I love the cover!